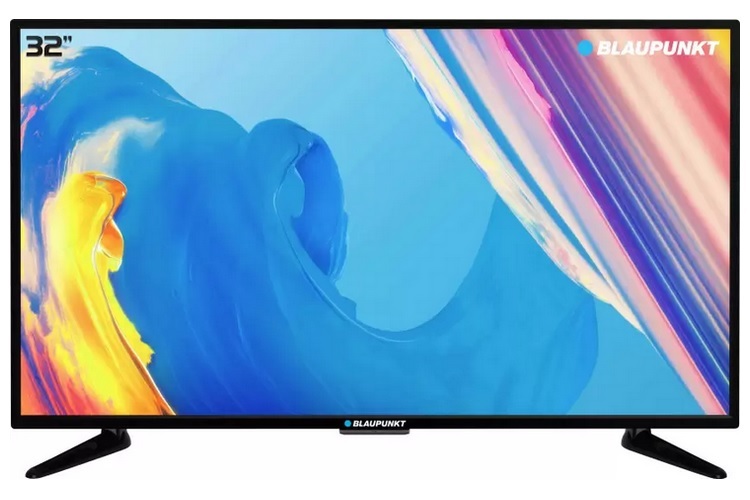 Earlier this month, German audio equipment manufacturer Blaupunkt signed a deal with Flipkart to launch its line-up of LED TVs in India that will be available exclusively from Flipkart. 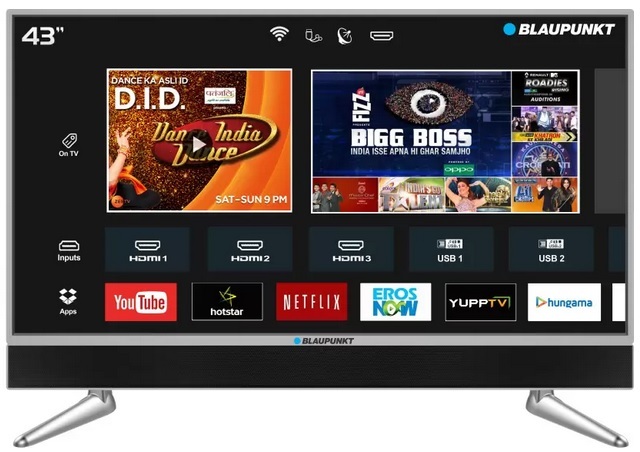 Blaupunkt’s Smart LED TV series, which consists of 8 models, has now gone up for pre-order on Flipkart starting at Rs. 12,999. Blaupunkt’s TVs are offered in different display sizes are available in three resolution options- HD, Full HD and Ultra HD. Flipkart has introduced a host of offers on the Blaupunkt TVs which include a 2-month Free ACT broadband subscription with the purchase of any model and 1,500GB of additional data, alongside a free WiFi router. Additional offers such as a Rs. 1,250 cashback on Citi Credit Cards, 5% discount on purchases made using an Axis Bank Buzz Credit Card and no cost EMI plans are also on the table. As for the TVs itself, there are two TVs in the HD LED series, both of which feature a 32-inch display with a 60Hz refresh rate and a 30W speaker output. The lower-end model is priced at Rs. 12,999, while the higher end variant, which also comes with an external soundbar carries a price tag of Rs. 16,999. The TVs in the Full HD series are available in 43-inch and 50-inch models, two of which comes with an external sound bar and start at Rs. 22,999. The high-end Blaupunkt 4K UHD TVs come in 43-inch, 49-inch and 55-inch models and start at Rs. 30,999, going up to Rs. 47,999 for the top-end model. All three UHD TV models feature a 60Hz panel, 60W speaker output and come with a built-in sound bar.